Today we have romantic suspense author Katie Ruggle stopping over to share some history with us. For her romantic suspense book Through the Fire she did some really interesting research connected to fire lookouts. We encourage romance readers to add this romantic suspense title to their lists. 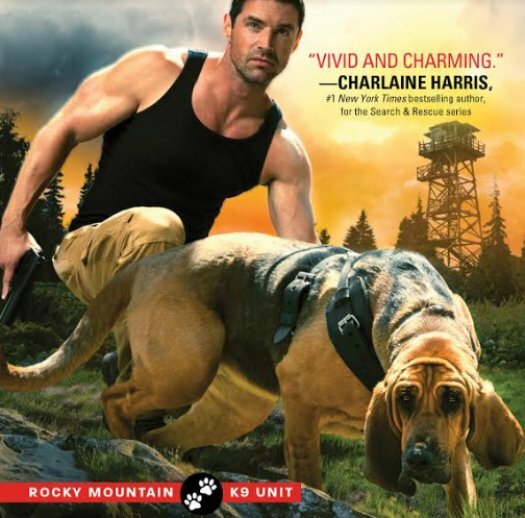 All the Rocky Mountain K9 Unit romantic suspense stories have been enjoyed by the romance reviewers and readers like you. This is the perfect time to get started on this romantic suspense series if you haven't already found it. The series starts out with Run to Ground. Thanks romance readers for stopping over at our book blog and finding awesome romance books to read. After the devastating fires of 1910, the US Forest Service knew they needed an early warning system in place and built the first lookout towers. Fire spotters would live in these small, isolated structures, spending their days watching for lightning strikes and the first plumes of smoke indicating a wildland fire. This century-old profession peaked in the 1950s at around 10,000 people. Now, there are just a few hundred lookouts, since aircraft and cameras have become cheaper and safer. The hero of my romantic suspense book Through the Fire, Wesley March, works as one of these last remaining fire lookouts. Although living alone in the middle of the wilderness suits him perfectly, offering the solitude he craves and time to work on his inventions, there aren’t many people who could do this job. The mix of isolation, boredom, and concentrated alertness is tough for most to endure day after day, requiring a special type of mind—one just like Wesley’s. When I was living off-grid in the Rocky Mountains, I would be snowed in for weeks at a time during the long winters. The constantly howling winds would turn snow drifts into rock-hard barriers blocking me from any sort of civilization. I discovered that I was fine with only the company of my pets and internet and cell phone for about ten days. At that point, I started coming up with wild plans to cross-country ski into town or chase after the county plow (that finally arrived to clear my road) and make the driver talk to me. Emails and calls weren’t cutting it anymore; I needed face-to-face human contact. That time in the mountains taught me that I wouldn’t be a good candidate for a fire-lookout position. The empty towers and dwindling number of fire lookouts makes me a little sad and nostalgic, even though I know that the current methods the US Forest Service is using today are more effective. Also, people like Wesley March, who would be happy living alone in a small, solitary tower in the wilderness, are rare. Still, I love to imagine a hero in his tower—a bearded, gruff Rapunzel—waiting for the heroine to fight her way through the forest to save him from his lonely existence.